This is a map of all the libraries in the city area of Pittsburgh, Pennsylvania. This map includes both public, school, and law libraries. It also includes their addresses and phone numbers, if they were available. It was made using batchegeo.com. While this was apart of a project for school I still found it interesting how many libraries there are in my hometown as well as how many different libraries there are. 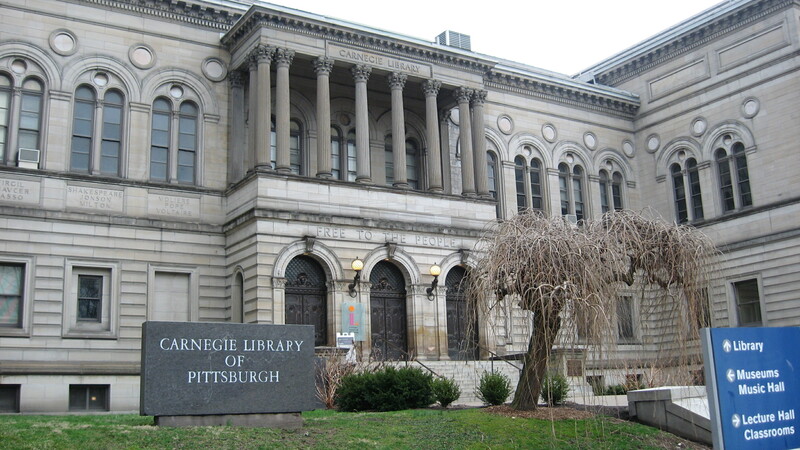 Now you may be saying to yourself “Well I have libraries in my hometown too, who cares?” Well Pittsburgh is rather different from most cities its size as, while most cities take up a whole county, Pittsburgh proper is actually only a rather small area of Allegheny County. Pittsburgh is only 58 square miles, while Allegheny is more than 700 square miles in size. To have 20 libraries in such a small concentrated area is an amazing thing to come across. It shows how much we as a society truly believe in the value of learning, contrary to poular belief. I was also surprised at how many different types of libraries I came across. I came across not only the usual public library, but law, medical and engineering libraries as well.